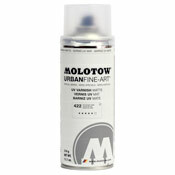 This is an interesting interview with JÃ¼rgen Feuerstein the creator of Molotow. The English is a little funny because it has been translated. This is huge... 251+ colors will absolutely be a dream come true... AP, is it possible you you to start selling tonal packs? I was thinking 5 tones of the same color, 2 cans apiece? say around for 59.99?